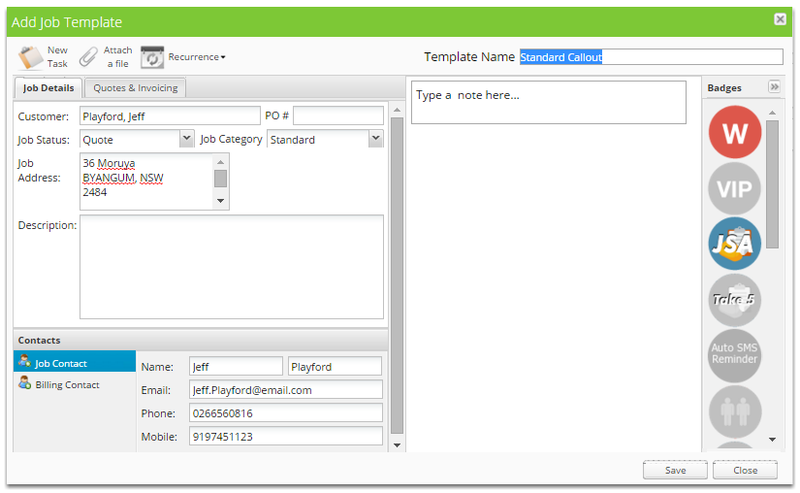 A job template allows you to create a number of pre-configured jobs or as starting point for a job. This is very useful if you have a repeated jobs information or recurring jobs. Save staff time and get consistency across your jobs. This can become a powerful training tool, where you can create step by step instructions on how to complete a specific job.